North Goa has too many incredible beaches, so let us be your guide. Ozran beach which is also known as the ‘Little Vagator Beach’ is one of the most charming and delightful beaches in North Goa. This beach is a perfect spot for sunbathing and thus, attracts many foreigners from all around the globe.The beach is very picturesque and the sight of sunset is a lifetime experience for the visitors. The environment is very calm and hushed here. You can also enjoy stargazing while lying on beach beds at night. However, the most special feature about this beach is that one has to climb down the hill to reach this beach. The beach is located behind the hill rocks and is rocky on both its left and right extremes. You can also hang out with friends and family at Our Shack, Ryan Shack, Fishtail Bar & Restaurant, Sunset Bar & Restaurant and the most amazing Greek restaurant ‘Thalassa’. Arambol beach is known for its clean and neat environment. 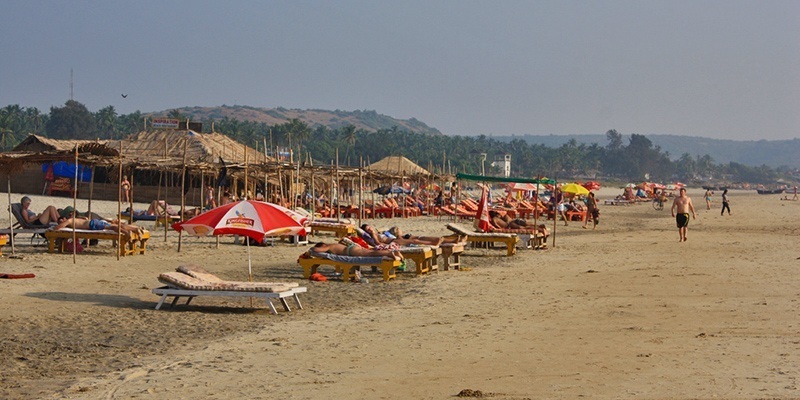 It is relatively a less crowded Goan beach and is very popular for its flea market and rave culture. The water flow is not very steep here and you can easily enjoy swimming with your group of maniacs.This beach is highly famous for creating a musical vibe popularly known as ‘Drum Circle’, which is dominated by foreigners who play Jimba and you just can’t stop drooling and tapping over the beats. The beach is bordered by sheer cliffs on both sides and is very picturesque in term of scenic beauty. It is a perfect spot for all the travellers looking for some peace and tranquillity. Apart from all the beauty, the beach also offers some exciting adventure activities. Few of them are paragliding, Kite surfing, Bodyboarding, and Sailing. 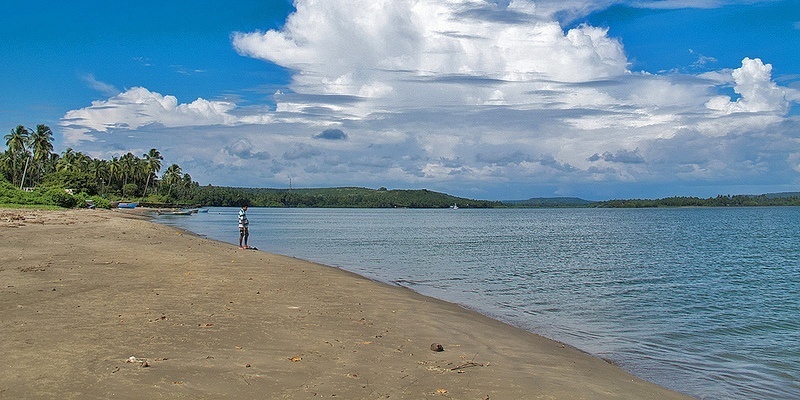 One of the most happening beaches of Goa is undoubtedly the Vagator beach. From the splashing sound of water flowing on one hand to the gigantic flea market that is filled with almost everything on the other, it attracts thousands of visitors from all around the globe. The clean air and palm trees jutting out of red cliffs will imbibe you in the lap of its scenic beauty. Even the sight of sunset is a feast for the eyes of viewers and can’t be missed. This beach is especially known for its rave culture and luxurious open air clubs which suits the idealised image of a beach holiday for all the western backpackers. However, the ‘Hill Top’ is known as the most crowded spot for all party animals. The charges for water sports activities are quite affordable here and one can easily enjoy parasailing, scooter ride, boat ride and banana ride. Popularly known as “Turtle beach” or “Little Russia”, Morjim beach is famous for its beauty and the sky that changes colours and provide viewers with a sight of a little paradise. It is an unspoiled beach which is yet to be discovered by many of the travellers. People often like to spend their lazy afternoon visiting and lying on beach beds with a local drink Feni or coconut water in their hands, in the calmness of this beach. The beach is very famous for Kite surfing including the other attractive activities for e.g., feeding Olive Ridley Sea Turtles, watching different sea birds such as kingfishers and kites or dolphins swimming in the deep sea. You can also enjoy a gala time by trying out Russian cuisine along with Goan food with your family and a bunch of your friends at S2 beach shack, Golden Eye beach shack, Red beach shack or Alberts shack. Mandrem beach is one of the less crowded beaches, located in the northernmost part of Goa secluded by a small rock cliff which separates it from the busier beaches. It is a 790 meters long beach sandwiched between the two most popular beaches, Ashwem Beach and Arambol Beach. It is a beautiful white sandy beach with tall casuarina and palm trees lining on its shore that attracts travellers who want an escape from all the hustles and bustles of city life. The serene beauty of this place allows one to relax on a beach bed and just get lost in the arms of nature. The best time to visit this beach is from November to February as it is not much shady unless you watch to be burnt by humidity. However, it is a perfect location for honeymoon couples, love birds and foreign tourists owing to its breathtaking colourful sunsets, dolphins, beach huts and some spectacular resorts. Candolim is a little busy beach in North Goa located between the Baga-Calangute stretch and the Aguada Fort. Here, the flow of water is quite dangerous due to undercurrents and is not really recommended for swimming. However, you can enjoy some water sports activities like Parasailing, water skiing and windsurfing. Candolim beach is very famous for celebrating the biggest musical festival ‘Sunburn’, which is celebrated every year for three days with great energy and enthusiasm. At this time, the beach becomes a hotspot for all the western backpackers. Apart from the huge celebrations, you can also enjoy doing yoga or exercise in a splendid and serene atmosphere. Tourists also recognise this beach as a perfect location for shopping. Here, you can shop everything from handicrafts to shell work to casual garments. Chapora beach is a little crowded beach owing to its scenic beauty. It is very picturesque filled with white sand and coconut palm trees covering all the area and making a beach look like a piece of heaven on Earth. It offers mesmerising views of sunrise as well as sunset. Even the rock cliffs, artistic rocks, local flowers and swift refreshing winds add to the beauty of the beach. One can also visit Chapora fort, famous for its architecture and location. Due to the heavy waves, surfing is very popular here including other water sports activities like jet skiing, windsurfing, paragliding, Ringo rides and parasailing. The beach also has a local market for all the shopaholics. However, one should not miss a lazy walk at night on this beach. Many shacks, bars and restaurants are opened till midnight and are lighted up making it look like a paradise. 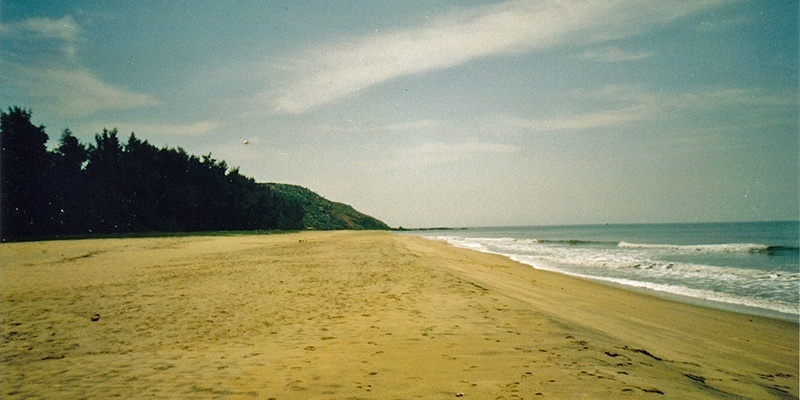 Querim beach also known as Keri beach is one of the calmest and tranquil beaches of Goa. The beach is well known for its serene beauty and white sand. The palm trees lined at the seashore and many red rocks filled on the south side add to the beauty of the beach. This beach lies at the mouth of the Terekhol River and one can see a well-built Portuguese fort known as Terekhol Fort from there. While engulfing the beauty of the beach and absorbing the fresh windy air adding to the chills of the water, one can enjoy a walk with their loved ones. This beach does not usually remain crowded and thus provides privacy to all its visitors. Apart from all the silence and serene beauty, you can also gain fun doing paragliding or visiting shacks for some tasty and delicious food. A semi-circle shaped beach whose sand stretches till the south is a beach that has to be visited in Goa by all the backpackers. Sinquerim beach has its own charismatic vibe and attracts a lot of tourists all around the globe. The rate of flowing water here is very appropriate and all the water babies can take a dip and enjoy swimming. The place is a combination of peace and adventure. One can relax by laying down on sunbeds or enjoying different cuisines at different shacks as well as get thrilled by trying out some most happening water sports activities like Jet-skiing, parasailing, scuba diving and windsurfing. This beach is perfect for such rides. Boating jaunts like dolphin trips and Crocodile Dundee, snorkelling trips are also organised here. This beach is a perfect holiday spot for all the visitors who are planning for a relaxed and joyful vacation. 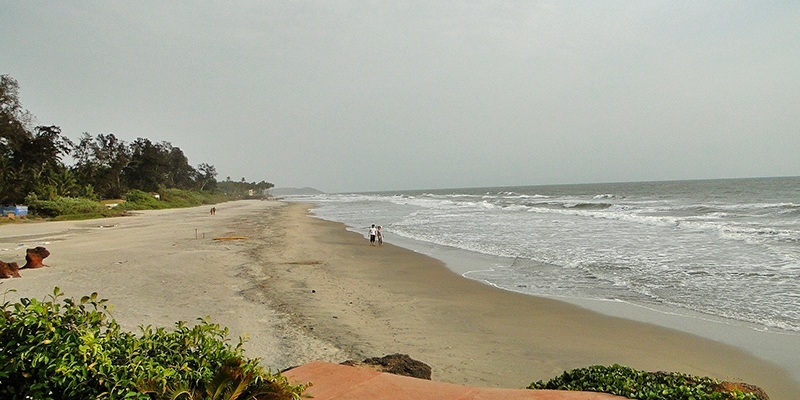 Located on the northernmost end of Velsao beach, Cansaulim beach is a beautiful beach in Goa. It is the most secluded beach and thus provides ample amount of privacy as well as the noiseless environment. The beach is quite rich in flora and has dense palm groves lined up along the coastline proving shade for all the visitors in summers. This beach is also covered with white sand giving it a deserted look. The beach is perfect for all the nature and photogenic freaks. However, the beach also accommodates some lavish and luxurious shacks, bars, pubs, restaurants and hotels such as Venus Beach Shack, Felix Place, Aaron and Balton's Restaurant. You can also visit Cansaulim Church. It is one of the most visited and oldest churches in Goa. If all of this is not enough, you can also enjoy water surfing, speed boat rides, water skiing, parasailing, swimming and sunbathing. One of the isolated and less crowded beaches of Goa is the Ashwem Beach which is quite different from all the other beaches of Goa. The beach is not very much explored and thus has a vast stretch of clean sand and fresh air. 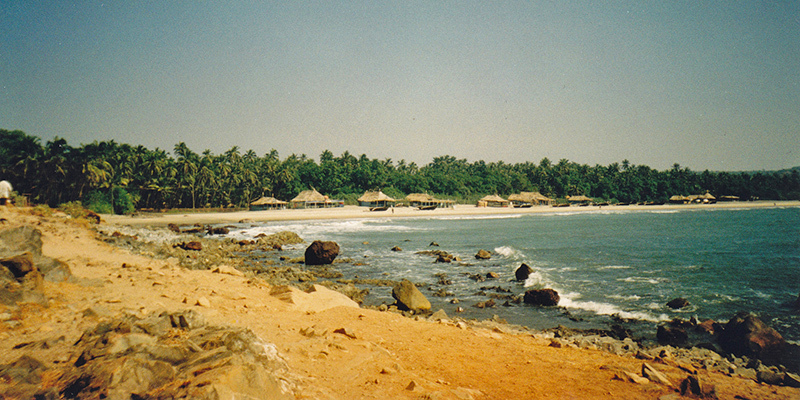 The beach is situated to the south of Arambol beach and offers privacy and safe swimming. The waves are very light and gentle here, and people can easily take a dip in the water. It is surrounded by palm trees making the landscape look prettier. Apart from all the scenic beauty, it is very famous for its ravishing restaurants and mouth-watering seafood. There are many beach shacks like Lal plage, S2 beach shack, Paradise beach shack and Lucky star beach shack. Hence, this is a perfect picnic spot for many Goan families and one should definitely pay a visit to this undoubtedly most alluring beach. 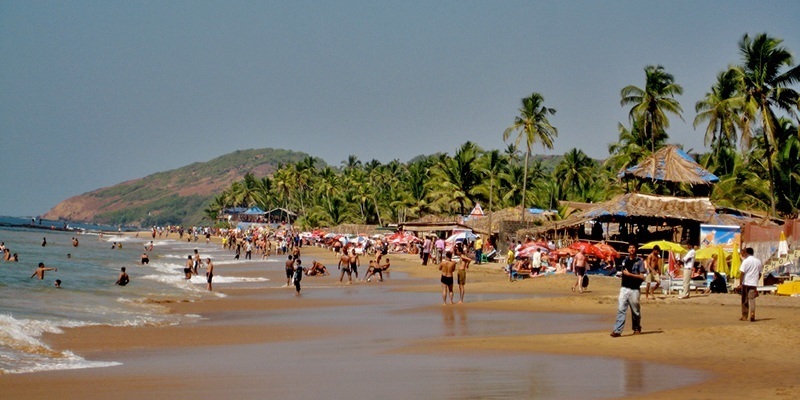 Anjuna Beach is one of the most venturesome beaches of Goa. It is located in the south of Vagator and Chapora beach. 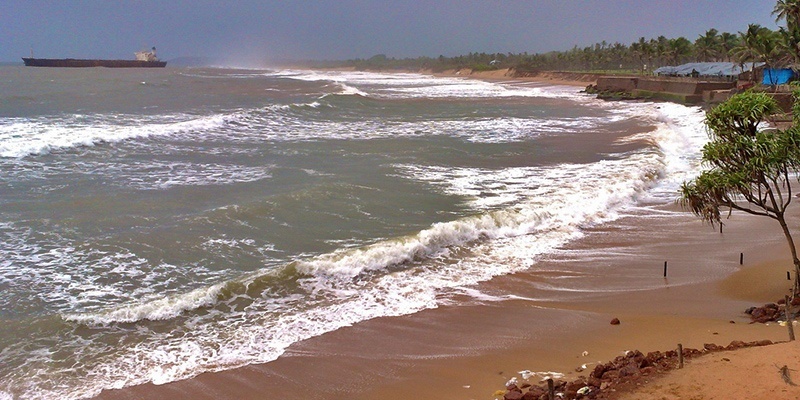 This beach has a unique arrangement of white sand and the red laterite rocks. It is very picturesque owing to its natural beauty and dense coconut trees. This is one of the most famous beaches all around the globe and always remains filled with foreigners due to its extensive Hippie culture and nightlife. It is a hotspot for all the hippies, long-stayers and backpacker because of its descent fare of stay. The beach does not offer many water sports activities except jet skiing and paragliding. However, you can spend a well lazy morning just by lying on beach beds sipping some local drinks such as Feni or coffee and watch a mesmerising view of sunrise. For all the shopaholics, you can also enjoy bargaining at its flea market famous for a mixture of Tibetan, Gujarati and Kashmiri culture. Looking for a specific or customized trip? No worries! Tell us your requirements and get custom quotes within 24 hours.